As part of ongoing efforts by the Boston Police Department to target illegal drug activity and those who participate in the drug trade, members of the District E-13 Neighborhood Drug Control Unit executed a search warrant at 3037 Washington Street in Roxbury. At about 7:39pm, on Wednesday, February 12, 2014, members of the District E-13 Neighborhood Drug Control Unit approached the aforementioned address, announced their presence and peacefully entered the location. Once inside, officers were able to see, seize and take possession of a large quantity of Heroin. In addition to the above, officers arrested a 22 year-old male from Boston and charged him with Trafficking Class A (Heroin) and Class B (Cocaine) Drugs. 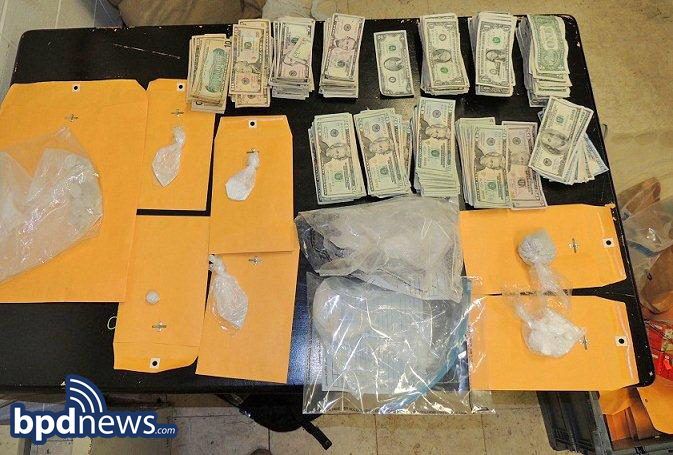 In addition to the Heroin, officers also recovered over 50 grams of Cocaine, over $8,000 dollars in US Currency and drug paraphernalia including: scales, scissors, razor blades, plastic baggies and other items commonly associated with drug trafficking. The Boston Police Department continues to actively investigate the facts and circumstance surrounding this incident and more arrests could be pending.